ABB, a pioneering technology leader, has recorded steady and sustained growth in the UAE in 2017, due to the energy and industrial revolution that is taking place in the country and around the world. The company has been a stable partner to the country’s development and is continuing to push boundaries by supporting the transformation of energy landscape, ABB said. “A land of endless possibilities is how the UAE likes being described and why not, as in a very short span the country has achieved global recognition for excellence in hospitality, logistics, airport management and now, clean energy and digitalisation,” he said. “We are fortunate and proud to have partnered with the UAE right from building one of the first water pumps for desalination to today reliably harnessing solar energy at the Mohammed in Rashid Solar Park,” he added. By 2020, projections suggest that there will be around two zettabytes of data in the Middle East— greater than the estimated number of grains of sand covering the entire Arabian Desert, ABB said. “We’re excited to bring our industry-leading digital solution offering, ABB Ability, now to the UAE. As masters of the industrial control room, with an installed base of more than 70 million connected devices, 70,000 digital control systems and 6,000 enterprise software solutions, we unlock value with domain expertise and digital solutions,” he added. ABB Ability brings together its digital capabilities as one unified offer. Recent contracts of ABB in the UAE already have the ABB Ability solutions implemented with them. ABB has supplied 600 grid-connected single phase solar inverters to power newly-built villas in Dubai’s Hatta region. Sponsored by Dubai Electricity and Water Authority (Dewa) to offer free solar panel installation across the 600 villas, this project meets the UAE’s plans to invest $163 billion to generate half the country’s power needs from renewable sources and increase clean-energy contributions at 50 percent by 2050. The inverters supplied by ABB are the UNO-DM – 4.0 integrated with the Aurora Vision software, which is ABB’s remote monitoring solution for the inverters. Aurora Vision helps installers with easy integration and allows home owners access real-time data on how much energy has been harvested. It’s a cloud-based solution, available through a web browser user interface to the PV plant data, which provides highly interactive, real-time access to key performance and operations metrics to help plant management optimise decisions. ABB has also launched UAE’s first digitalised remote service centre in Dubai, UAE, this year. The centre will provide 24x7 access to information and support on drives installed at customer facilities for predictive maintenance and condition monitoring for all industries including power, cement, oil and gas, metals, food and beverage, in addition to many other applications. It will support customer installations in the UAE and around the world. “Our customers, mainly from the heavy industries where our drives have been installed, were invited to the remote service centre. It was heartening to see them engaged in our digital offerings as they understand that connected services will help with predictive maintenance as well as improve efficiency,” commented Al Guezeri. 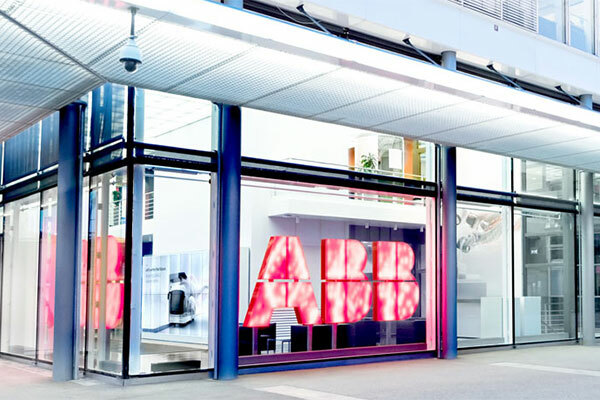 ABB is championing economic growth and prosperity without increasing carbon emissions. Walking the talk, in 2017, the company installed the region’s largest privately-owned rooftop solar energy system at its premises in Al Quoz. This, helping ABB produce clean energy enough to power up to 50 households a year, supports the Dewa’s Shams Dubai initiative and encourages households to harness the sun’s power through rooftop solar panels. ABB has a firm commitment to the UAE with its presence here for over four decades employing nearly 1,000 people. The company has a clear Emiratisation strategy in place.